Messaging Intelligence: Next-gen approach to analyzing both internal & external email communication patterns across the organization. Zymewire is the digital sales research assistant, helping companies that service pharma/biotech uncover opportunities for sales growth without relying on firmographic databases maintained by analysts. 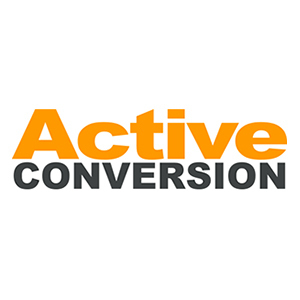 ActiveConversion is the leading industrial conversion company in North America. We systematically help companies expand into new markets and mature in existing ones with our unique combination of software & services that help you generate, manage, and convert sales opportunities. Align.ly is a tool that works with Salesforce Campaigns, with the objetive to make campaings work better. Ampliz is a cloud based marketing database management and marketing automation suite. Autobound's predictive prospecting, suggestive activities and actionable analytics enable lead generation at scale. [basic-code] is a software solutions provider focused on sales analysis, forecasting, demand planning and inventory management. Our proprietary application integrates the customer's vital data into a single comprehensive tool that creates the vision and efficiency needed to improve forecasting, manage inventory, and make strategic decisions that result in improved operational performance throughout the company. It includes over 20 features that enable the user to slice and dice the data in multiple ways to achieve the best analysis all on one screen. Offering customized and exception reporting available at the click of a button, it also provides consistent and efficient intelligence due to the database formatting. With this, the forecasting tool delivers the vision and reporting needed to focus on emerging trends, opportunities and liabilities where action can then be taken to achieve desired results, like increased sales, improved profit, quicker turns, and cash flow. BookYourData is an email lead list builder for accurate business-to-business (B2B) email lists. We attend hundreds of technology industry trade shows and collect thousands of cards from exhibitors - creating the most accurate contact database available. 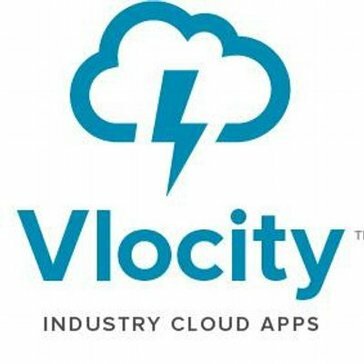 Our mission is to modernize the way companies do channel revenue management with the power of consumer-style computing (cloud, mobile, social, big data). Market and competitive intelligence software for enterprises. Clodura is an automated sales pipeline intelligence platform, that uses machine learning to find the high-value prospect. CompeteiQ is a software as a service competitive intelligence company that puts everything sales reps need to know about the competition at their fingertips. With competitive battle cards, a collaborative win-loss system, and competitor profiles and news, sales reps are enabled to develop a personalized strategy to win more deals. CompeteIQ is a certified Salesforce AppExchange application that integrates with Salesforce Classic or Lightning. Cultivate Forecasts is a crowd-driven forecasting platform that uses prediction markets to help users get smarter about important decisions. Datapare Benchmark tracks and monitors competitiors websites and automates the market research process. DemandMatrix increases your go-to-market efficiency with a foundation of better market intelligence. Researching millions of publicly available sources and over a billion documents per month, DemandMatrix uses machine learning and narrow-AI to find, catalog and score 12,473 hardware and software products that 13,716,365 companies in 236 countries are using or considering. Draup empowers sales teams with comprehensive account and stakeholder intelligence to enable microtargeting. Easyleadz is offering 3 months of their Professional plan free to the start-up community. Some key features of this plan are 1.500 sales signals relevant to your organization, export these signals to CSV, 150 decision makers emails and account management. Catalyst is an intelligence platform, delivering curated business insights to help teams with lead generation, and client engagement. Emailnphonelist.com, the online list & data broker started in 2011 as one of the very few trusted mailing list brokers online. Evolution360 is a powerful and easy-to-use marketing software that provides you all essential data and analysis on your digital marketing activities. Fiitfu is a CRM growth tool for direct sales professionals. FunnelBeam makes the most customizable Sales Intelligence tools. We transform the status quo of AI enabled Account Based Sales & Marketing: facilitate end to end data discovery, enrichment, & seamless flows between all major Sales & Marketing CRMs! With millions of lines of proprietary code, we ingest petabytes of data from enterprise systems & the public web, across 28 million companies, to provide unparalleled insights that streamline CRM flows to encourage peak performance. The Gazelle.ai investment attraction platform has been designed from the ground up to help economic developers, trade, investors, and dealmakers generate leads, engage those leads, and ultimately attract investment. The Gazelle.ai investment attraction platform leverages the power of artificial intelligence to help you find the right companies at the right time. GetEmail provides anyone's email in seconds. Goa's sales tools increase your sales by discovering your most valuable leads and insights that talk about when the chance is greatest to sell to them. The simple interface allows you to get unbeatable timing and unfairly track your leads and customers. GotKard is a network relationship management solution that connects your business to the world via your business card. GrayFOS is a sales force mapping and automation solution. Coach to a proven standard. Multiply successful daily behaviors. Establish a blueprint of accountability. Optimize outreach and retention. Continuous improvement. Reduce onboarding and improve hiring.